The World Journal of Science, Technology and Sustainable Development (WJSTSD) is welcoming contributions to a special issue on the application of Serious Gaming & Simulations to KM initiatives, having Michael Sutton, Bill and Vieve Gore School of Business, Westminster College, USA and Allam Ahmed, SPRU – Science and Technology Policy Research, University of Sussex, UK as guest editors. 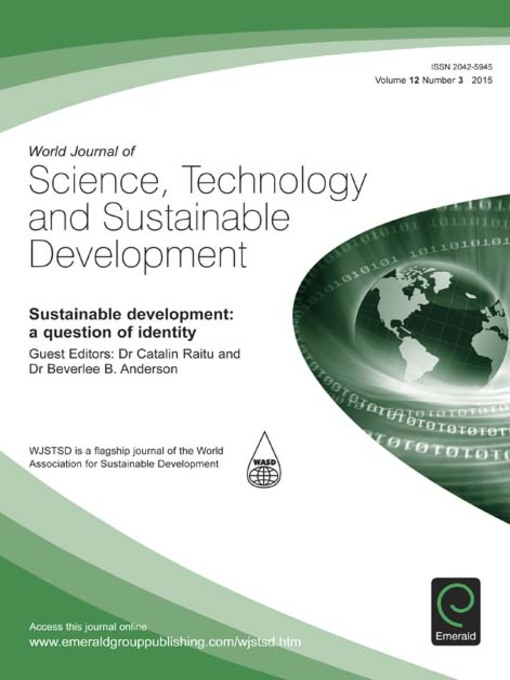 The Journal is published in partnership with the World Association for Sustainable Development (WASD), a unique global forum that brings together people from across the world to discuss key issues relating to science and technology management that impact the world sustainable development. The aims of WASD are to promote the exchange of knowledge, experience, information and ideas among academicians, scholars, professionals, policy & decision makers, industry, executives, students etc. to improve the mutual understanding of the roles of science and technology in achieving sustainable development all over the world. If you have any questions about the special issue please contact Michael Sutton (msutton at westminstercollege.edu; michaeljdsutton at gmail.com) or Allam Ahmed (wasd at sussex.ac.uk).